Welcome to Annarita Guarnieri direct from Italy! Annarita has already warned me that English is not her first language. I’m not going to make any attempt to “filter” her English. Honestly, I don’t see any reason to, she does a great job, and we want to speak to the real Annarita, after all! First of all, Annarita, tell us about yourself and your background. You know, all that stuff that makes you interesting, like pets, movie favs, actors—that kind of thing! Well, I really hope you realize what you’re asking for, in my case! Let’s tackle one question at a time. I’m Italian, born and bred. I was born in Trieste, a nice city on the Adriatic Sea, 57 years ago, but those years have been spent living more or less all over Italy because my father’s job. He was in the railways management, which required us to move often. At six, in first grade, I had a stroke of luck: I was chosen, together with another kid for a special course in the English language the school was giving. It was the year 1961, and at that time languages were taught only in junior high and high school. That stroke of luck marked all my life because I came to realize I really loved the language and wanted to know it better. The end result of this, and of my love for books and reading, was that in spite of my degree in law, I decided to become a translator, which I have been for 33 years and still am. Of course, this job taught me a lot about how to build a good plot in a book and on the usage of the written English language. Now, to the second question… my favorite pet? Hard to say, since in 20 years I’ve had 116 cats, 2 dogs and 1 rabbit. My first cat, Micia, will always be in my heart, and so my Belgian Shepherd Shine, who died on Christmas Eve 2011. But Perla, Missie, Rossolino, Luna and many others have a big place in my heart, and I still have 28 cats allowing me to share their house with them. My favorite color is green, the green of the deep sea under a shining sun. Favorite actor? Clint Eastwood, since I was 9. Favorite actress? Liz Taylor, but I also like Sigourney Weaver a lot. Choosing a favorite movie is more difficult, because there are many. Among all I’d choose Rio Bravo, A Fistful of Dollars, Star Wars, Star Trek TMP, but I’m leaving out many other very good movies that I loved and still love. What else can I tell you about myself? I’m rather eclectic; I love anything creative, from crocheting to creating small pieces of furniture by myself. I love gardening, but I have little time for that, unfortunately. I adore travelling and see myself a little like a sort of gypsy. I also love horse-riding, even if I haven’t done that in a good long while now. Wonderful info! Now, let’s find out a little bit about your writing. When and why did you begin writing? I cannot tell exactly when I realized I wanted to be a writer. I remember being still a very young kid, 5 or 6 years of age, and going with my father to his office: he would allow me to use one of the typewriters they had there, and I would sit there for hours, typing word after word, experimenting with the keys, as a kid of that age can do. Later, at school, I loved writing essays, most of all those where my imagination was left free to roam. My very first–and pitiful–attempt at writing something different from a school essay was a western short story I wrote when I was 12. It ended up in the waste basket a few years later. Across the years I made other attempts at writing, but never even thought of publishing anything until another of my passions–and my hobby for some 10 years–came into play. I’m talking about Star Trek. Loving the series, I became involved in founding the Star Trek Italian Club. We held conventions and ran three fanzines. That’s where I first started publishing some of my writings, and it was a big stepping stone for me. Oh, I am SUCH a Trekkie, myself! Went to a convention in California. What a wonderful experience. Life and family got in between things later on, and I resumed writing only a few years ago. In 2011 I was lucky again when my first book was accepted and published by Inknbeans Press. Many year ago I would have answered “western”; some 15 years ago, the answer would have been “fantasy”. Right now, it is difficult to say. I have written a few short stories that go from fantasy to thriller to humor. I’m also the author of two published books (Inknbeans Press), both about pets. My next project is developing in a totally different genre, a cross between fantasy, historical and psychological horror. So I cannot say I have a specific genre any more. Being an omnivorous reader, it stands to reason that as an author I jump from genre to genre. Okay, so how about we just say “fiction”? What’s your process? SOP, well-devised outliner? Here my being Italian puts me at a disadvantage, because I have to admit I do not know what SOP stands for, but I take you are referring to my writing process. I know the right way would be writing a synopsis and developing the book from there, but that’s not my way of doing things. My stories take form in my mind as a sort of movie I see in my brain, and as I watch it, I write it. It is difficult to explain, but I get the kernel of an idea and allow it to develop by itself. As I start writing, I take a few notes about how the story will have to develop, then allow it to grow on its own. Aha, that is SOP (seat of pants, as we refer to it here)! I don’t believe there is a right or wrong way. We do what we do. I’m SOP, too! What other writer inspires you? Your work? The writer I’ve always considered in a way as my “master” is the late David Gemmell. He had a powerful way of telling his tales, and a wonderful style. He wrote heroic fantasy, and I loved every single word he wrote. He certainly helped me learn how to build my plots, but across the years I took lessons from other great writers I got to translate, such as Raymond E. Feist, David Eddings and Katharine Kerr. For somebody who doesn’t know what a translator’s job entails, it is difficult to realize how much you can learn about books translating them. When you simply read a book–most of all if, like me, you’re a fast reader–you tend to skim over words and whole sentences. When you translate, you have to read, weight and evaluate every single word, and even the punctuation. That teaches you a lot. I have a feeling that you know a lot more about our language than most Americans. What is your favorite work by you? And why is it your fav? Since up to now I have only two published books and one two thirds through writing, it is difficult to say. I suppose, however, that “The Importance of Being Shine” (link to trailer) will remain my favorite, because it is about my beloved dog. Another difficult question. When I wrote inside the Star Trek universe, of course, most characters were already formed. That was more a technical exercise, a way to learn how to handle characters. Now, they sort of take form and substance in my mind on their own, and often also take control of the plot itself, as it’s happening with my next book, “The Golden Pendant”. Many years ago, in the Sixties, I saw an old movie about the Grimm Brothers. The one who became a fairy tales writer was seriously ill, and while he was fighting between life and death, all the characters of the fairy tales came to him, pleading him not to die because otherwise they’d never been born. My characters sort of do the same thing. I have an idea for a plot, and the characters slowly take form one after the other and carry it on. 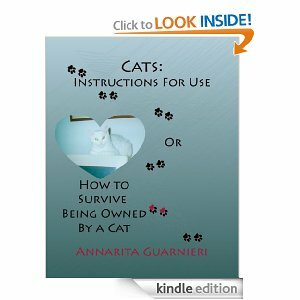 My best experience has been when my first book, “Cats: Instructions for Use, or How to Survive being Owned by a Cat” (trailer link) was accepted by Inknbeans: to me, it was a dream come true, because I’ve always written in English and my real dream has always been to publish abroad, and not just in Italy. As for the worst… well, I haven’t had it yet, and I hope I never will. Fingers crossed here! Best/worst writing advice you ever got? I did not get many advices. The best one was from an Italian writer and good friend. With extreme patience, she taught me what the point of view was. 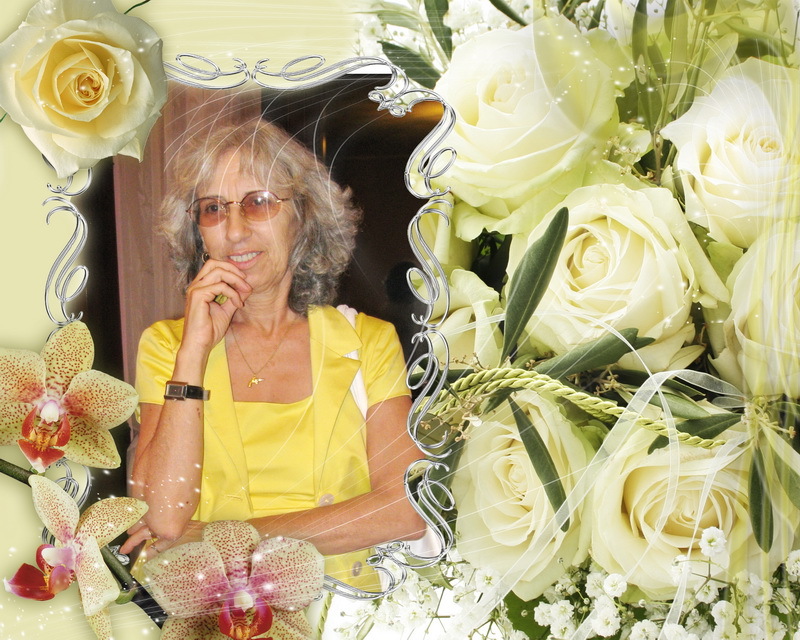 At the time I was writing a non-professional Star Trek novel for our fanzine–that novel ended up winning an award here in Italy–and my friend Mariangela Cerrino had me write it all over again I don’t know how many times, until I understood what I really had to do. Ugh! POV can be a real pain. We all suffer that one. What is your latest work? As I said, my latest book is “The Importance of Being Shine”. 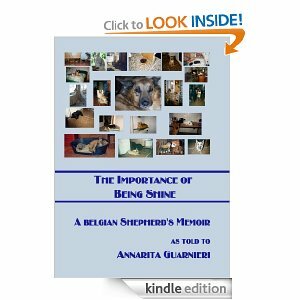 It is the biography of my late Belgian Shepherd, Shine. She was a very special dog, the dog I had always wanted since I was 5 and watched “Rin Tin Tin” on television, and we shared 13 wonderful years. This is a special book also under another respect: it wasn’t born like the others, nor was written in the same way. As crazy as it may sound, Shine “dictated” it to me. I was writing my fantasy book, last summer, but every time I tried to concentrate on it, all I got were bits and pieces of what then became this other book, all told in first person and in present tense, as if Shine was retelling her life, not as I had seen it but the way she really had lived it. A peculiar book, then, which also is a huge chunk of my heart. The book can be found and purchased through the publisher, of course, at www.inknbeans.com or both in e-book and paperback on Amazon, Amazon UK or on Smashwords. As a person permitted to reside with both a 14 lb. dog and a 17 lb. cat, I look forward to reading both! What do you want your fans to know about you and your work? I’m still so green as an author that I don’t know if I have any fans. What I want anyone who picks one of my books to know is that I write with my heart, stories that beg me to be told and that my greatest hope is that they’ll have reading my books the same good time I had writing them. I think I’ve pretty much told everything there is to know about myself. All I can add are a few words about my next book. As I said, it will be a cross between fantasy, horror and historical. What I did not say is that the historical setting is the 13th Century, in a remote corner of North-Eastern Italy, not far from where I was born. The kernel from which the story was born was a small and rather simple legend of the area, which developed in a far more complex story. “The Importance of Being Shine” can be found on Smashwords, too. “Cats: Instructions for Use” can be found on Amazon, Smashwords and Barnes&Noble (paperback). Annarita, thank you for taking the time to give us such a wonderful interview. I look forward to both books, and I’m sure our pet-loving readers will, too.